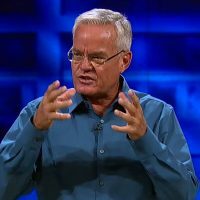 (Bob Smietana – Christianity Today) In the summer of 2008, Bill Hybels stood in front of thousands of pastors and other church leaders gathered at Willow Creek Community Church and admitted his megachurch had failed. He vowed the megachurch would do be better in the future. Ten years later, Willow Creek’s leaders confessed even more mistakes. On the eve of the 2018 GLS, they admitted in a special congregational meeting that church leaders had failed to appropriately handle recent allegations of sexual misconduct against their founding pastor. Lead pastor Heather Larson announced that she was resigning immediately. The church’s elder board announced that its members would also step down in an orderly fashion by the end of 2018. At tonight’s Willow family meeting, elder Missy Rasmussen said she and other church leaders had been blinded by their faith in their founding pastor and had failed to hold Hybels accountable. “We trusted Bill, and this clouded our judgment,” she said. This news story from Christianity Today is posted for informational and research purposes and not as an endorsement of the source.